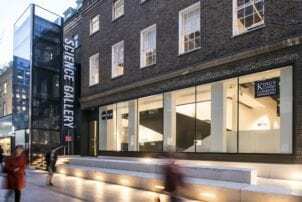 As one of the newest venues to the London Bridge area, Science Gallery London opened in September 2018 and offers a place to meet, connect, participate and be inspired. The gallery has a variety of thought-provoking spaces ideally suited for banqueting, receptions, summer and festive parties, daytime conferences and private dining. There are also opportunities for guests to interact with the latest exhibitions and experience truly unique events. With an outdoor courtyard for up to 350 guests, located adjacent to the Shard, Science Gallery London is a perfect venue to enjoy summer in the city.